I’m going to send out a short clip from the personal finance for grad students seminar that I gave last week in EPF’s November newsletter. If you’re interested in receiving it, please sign up today in the top right sidebar as the newsletter is scheduled to go out Friday morning! The question “But how do you invest on your own?” was posed to me this week by one of my co-facilitators at Financial Peace University. We recently watched Dave Ramsey’s investing lesson, and ever since then the facilitators and I have been debating the merits of using the kind of financial advisor that Dave Ramsey recommends (a commission-based advisor aka a salesperson) vs. other kinds of financial advisors vs. going it alone. I never considered buying my investments through a financial advisor, probably because in my early study of personal finance (through reading books) DIY investing was presented as the default route. So it was a bit hard for me to understand that some people didn’t even know that route was possible. 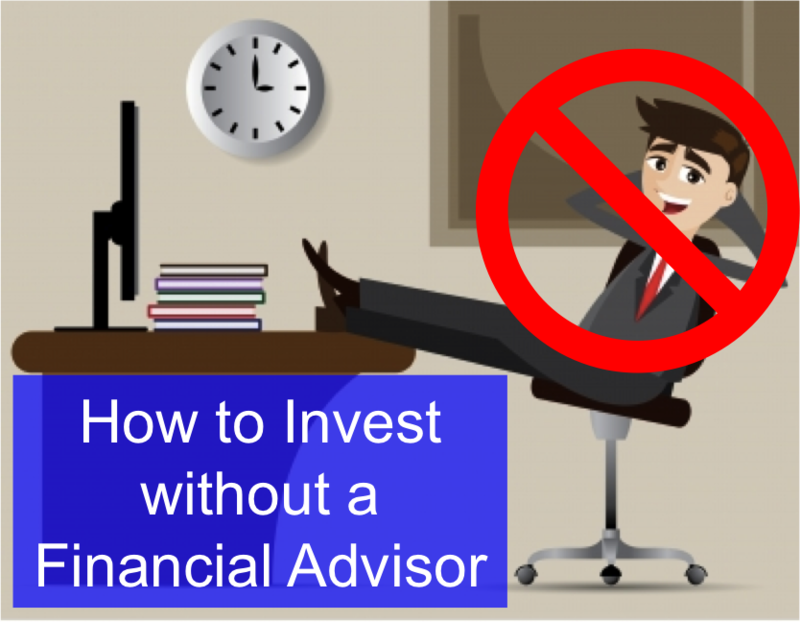 Investing on your own without an advisor is actually quite simple, though not easy. First, pick a brokerage firm and open an account. In the process, consider whether it offers the types of investments you want to buy, the typical cost of the investments (the expense ratios), and the minimums to open an account. In my low-pay world, minimums are very important! For instance, Vanguard has a $1,000 minimum to open an IRA. Some firms may waive the lump-sum minimum in favor of a regular autodraft contribution. Second, pick one or more funds to invest in. This is the tricky step where people get intimidated. It helps to start by picking an investment philosophy, which will greatly narrow the investment options. The people in the FPU class might want to use Dave Ramsey’s investment recommendations, which they can replicate on their own with four mutual funds. My investing philosophy is passive, and a great place to start learning about that style is in this video series from the Bogleheads. Once you have a firm and a style, there are probably only a handful of options for you to look into. Third, transfer in your lump sum and/or set up an ongoing savings rate. And you’re done (until you need to rebalance)! 1) Your advisor will make the investment choices for you based on your goals, which will save you some time. However, I think that you should still learn a bit about investing so that you can verify that what your advisor recommends is appropriate. 2) The typical investor garners a far worse rate of return over time than she ‘should’ based on market returns because she tends to make emotional decisions that result in buying high and selling low. In theory, a professional advisor should be able to stomach volatility better and encourage the investor to stay the course. Using an advisor is expensive. You either pay up front for an advisor’s time, pay an advisor to manage your investments for you, or pay commissions on the products an advisor sells to you. But remember that mistakes you may make on your own are expensive, too, so you need to educate yourself at least a little if you are going to invest without an advisor. At this point in my life, I’m happy to be managing my investments on my own, and my strategy is pretty hands-off. When the stakes are a little higher, we’ll probably use a fee-only financial planner (paying directly for time) to get objective recommendations. If we ever become wealthy, we may pay an advisor to manage our investments for us. I really can’t see myself ever using an advisor who is not a fiduciary (bound to put my interests above her own). When you first started investing, did you realize you had the option of using an advisor or directly buying your investments? Have you ever used a financial advisor and if so what was her compensation structure? 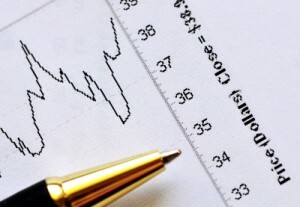 Do you feel confident in managing your own investments? 15 Responses to "How to Invest without a Financial Advisor"
We manage all of our investments and use Vanguard. They make it easy to select fun and make online contributions. No reason to pay someone to give me advice when what I should be doing is so obvious. And Edward Jones- yuck! Holly@ClubThrifty recently posted..Is It Tacky to Use a Groupon Twice? I’m glad you find the right investing choices to be obvious! I made an easy first choice and am considering moving up a level and doing my own rebalancing within the same general investing strategy. It took some hours of reading but I was pleased to find that both Kyle and I selected the same fund after doing independent research. I was surprised that all the people I talked with were happy with their EJ advisors. I hear a lot of negative things in the PF sphere about these kinds of advisors but no one mentioned the high turnover or anything. I think that the EJ advisors are generally personable and are often someone they see as a trusted person. They also assume their advisor knows what they’re doing and are acting in their best interests, so they don’t think to doubt them. Seems dangerous to me! Especially when you haven’t interviewed multiple advisors and went with a personal friend. I had some money to invest at the start of grad school, and I remember my dad trying to give me a primer on investing. He advocated passive investing, no advisor, but didn’t know about Vanguard and their low fee funds. I remember being overwhelmed with choices and thinking man only a professional can do this…. Then I stumbled upon the Bogleheads wiki and forums. Invested a lump sum, set up automatic investments, and never looked back. I reassure people who are just starting out with DIY investing that they will make mistakes, but that is okay because they can learn more and refine with time. Even if you had chosen some actively managed funds at the start, you could have changed course after you discovered the Bogleheads (unless you gave up learning!). I remember asking my parents’ advisor where I should invest and when I said my 401(k) was with Vanguard, he said I should just open an account there because they’re good. I certainly bought some weird funds at first though. I also remember saving up my first $3,000 to buy into my first fund at Vanguard or saving up for a few months to contribute the full $5,000 to my first Roth IRA. I didn’t realize you could contribute less than the full amount! That’s great that your parents’ advisor recommended Vanguard. What kind of advisor is he? How long did it take you to realize what you had bought was weird and correct it? The interesting thing was that he didn’t recommend any index funds! He recommended that I invest in junk and corporate bonds and some other actively managed stuff. He told me though that it didn’t matter where I put my money then, so long as I started saving. I put my taxable investment money in Vanguard Intermediate-Term Investment-Grade Fund Investor Shares (VFICX): https://personal.vanguard.com/us/funds/snapshot?FundId=0071&FundIntExt=INT which only lasted a few months until I moved the money to the Vanguard S&P 500 index ETF (VOO): https://personal.vanguard.com/us/funds/snapshot?FundId=0968&FundIntExt=INT Eventually after that, I wrote down an Investment Policy Statement and stopped investing in random things. I have no idea what kind of advisor he is, to be honest. Other than that he did house calls. I guess he was right that the first step really is to just get started and don’t worry about choosing everything perfectly, but you shouldn’t let that go on for years and years. I think you played things exactly right! Maybe Kyle and I should write an IPS… We never have really felt the need to because we keep things so simple, but I’ve been thinking recently that I might want to change up my strategy. I agree. 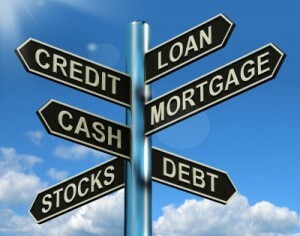 Getting an financial advisor is really expensive and sometimes we don’t get the best pick! So, If I were about to invest, I’d rather educate myself on investments and join forums to get the best advice from those people (some of them must be reliable). I like reading/listening to experts who choose to share their expertise with the public, and also listen to other laypeople. The laypeople could be off-based but the experts could be biased, so where they agree is more likely to be the proper advice. I was always too intimidated by investing to learn anything about it — I figured I’d learn “when I had spare cash to put away for retirement,” aka NEVER. When I had my big panic attack/mini-nervous-breakdown this spring, it took me about a week to read up, mostly through PF blogs (I googled “pay off student loans vs. save for retirement” trying to collect opinions and ended up in the PF blogosphere) and decide that (a) a passive strategy was clearly best and (b) Vanguard seemed like a better option than Fidelity. I just didn’t feel like I needed an advisor; everything I read made it clear that actively managing was not a better choice than index funds. Since I was going to do some kind of index fund, there was no need for advice; I just needed to choose between Vanguard and Fidelity, and Vanguard won both because they had low-initial-investment target date funds and because I liked the idea of the company being “owned” by the investor. Now, I’m reading up a bit more because I’m interested, but I don’t ever intend to use an advisor because I intend to use a passive strategy for life. I MIGHT — and I stress MIGHT — talk to someone in twenty years or so, when I’m ten years from retirement, to discuss my plans in a general way and see if I can get some additional input. But for now, I don’t see the need to pay for anything. It looks like we came to the same conclusions! That’s interesting how you found your way to the PF blogosphere. I can’t remember what topics I was searching on. I can definitely see the utility of using a financial advisor when nearing or in retirement. Right now we’re just kind of doing whatever we can, but the strategy will need to become more defined later when we know what we want our retirement lifestyle to look like. I think I would like to hire a fee-only advisor at that point to work up a plan and possibly to help with executing the distributions. Or maybe by that time I’ll have learned more and will feel confident doing it myself!